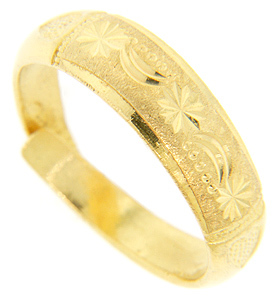 This magnificent, 18K yellow gold wedding band is engraved and chased. 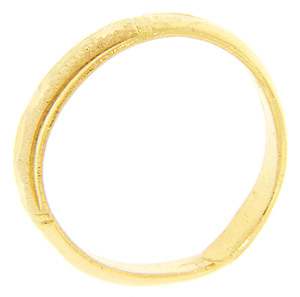 The ring is not yet soldered which would allow it to be re-sized into any of a wide range of sizes. It has a distinct color and measures 6.9 mm. wide across the top. Circa: 1960.